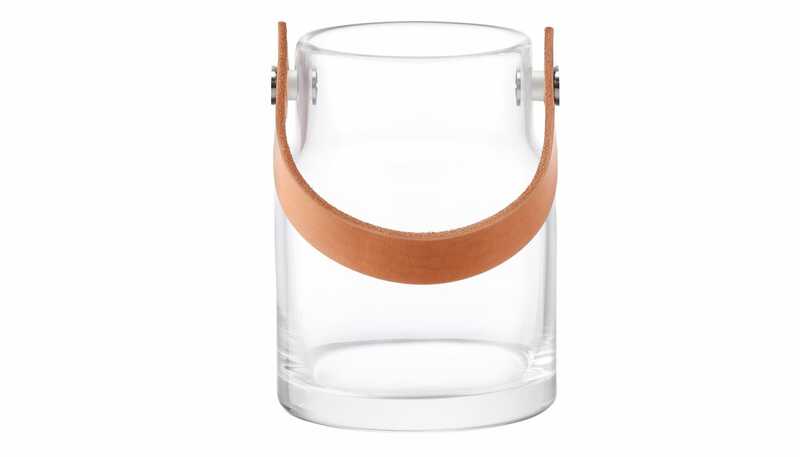 Mouthblown from layers of clear glass, this pot has a decorative handle made from natural leather. 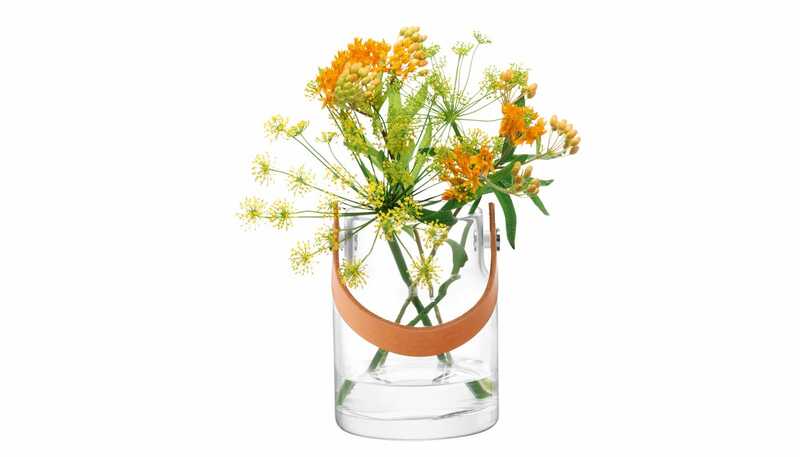 The contemporary mixed material design can be used to store objects, display flowers or as a candleholder. Always support the base when lifting this object and fold the handle down if using with a lit candle.